Omal pneumatic actuators are accurately designed and engineered, and have a state-of-the-art production line dedicated to their fabrication. 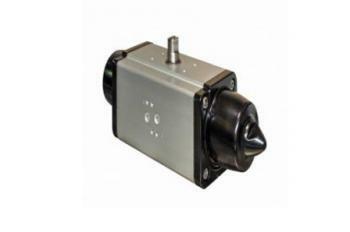 This pneumatic actuator range is specifically designed to reliably drive automation. Omal stainless steel pneumatic actuators come in 4 variations and available in double acting and spring return double casting. Designed for open and close valve operation and fail safe emergency. 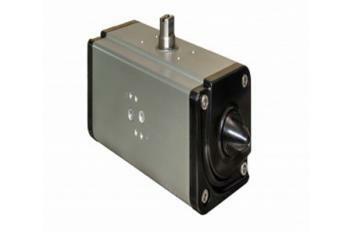 The range of 11 SRNs provide nominal torque from 15 to 960 Nm at 5.6 bar. Heavy-duty double acting and spring return actuators. Supply media for both of these actuators are filtered compressed air, inert gases and technical gas. 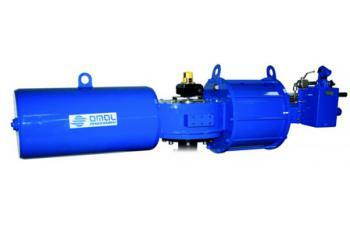 These Omal double acting actuators are used for open and closed valve operation as well as cycle regulation. Comes in double-acting and spring return types. ATEX and SIL 3 certified to guarantee the highest level of functional safety. Ideal for filling and metering fluids or solids-mix materials with a special metering device. Can be used for fine or rough metering. Omal Aluminium Actuator with Hand Wheel, available only from Tectra Automation, can be integrated in double acting and spring return aluminium actuators. Double Acting Aluminium Actuator DAN: For open and closed valve operation and cycle regulation. Provides nominal torque of 8 to 1 920 Nm at 5.6 bar and there is less friction between piston and cylinder because of energised self-lubricating strips, which also extend actuator life. Spring Return Aluminium Actuator SRN: 11 spring return pneumatic actuators in this range, which provide nominal torque of 15 to 960 Nm at 5.6 bar, and are designed for open and closed valve operation and fail safe emergency. Heavy Duty Carbon Steel Pneumatic Actuator: Supply media comprises filtered compressed air, inert gases and technical gas, and both the double acting and spring return versions work on a Scotch yoke system with rolling friction.Their standard temperature range is from -20 to 80° C and the high temperature range from -20 to 150° C.
Aluminium Actuator with Hand Wheel: The hand wheel equips quarter turn pneumatic actuators with a manual emergency hand wheel. Material composition of stainless steel, steel alloy + Nitrilic Rubber, aluminium alloy, steel alloy, NBR and acrylic plastic translates to a long product life. 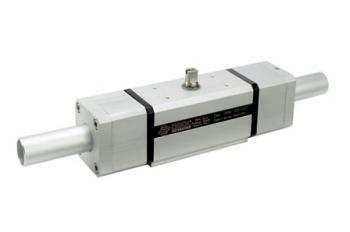 Stainless Steel Pneumatic Actuator: Available in 4 variations, this entire range is ATEX and SIL 3 certified. The double acting actuator precision casting has torque from 15 to 480 Nm, as does the spring return version. 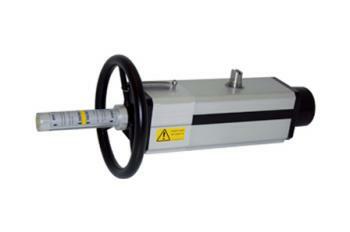 The double acting from bar actuator provides torque from 720 to 1 920 Nm and the spring return from bar is 360 to 960 Nm. Carbon Steel Pneumatic Actuator: ATEX and SIL certified, torque for both the double acting and spring return versions are from 360 to 960 Nm. Compressed air is the operating media, not necessarily lubricated, with an air supply of 5.6 bar to a maximum of 8.4 bar. 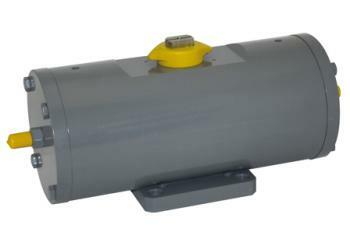 Aluminium Two Stage DD Pneumatic Actuator: Designed to prevent the actuator from achieving a full rotation by using 2 additional cylinders with inner piston that stop the rotating angle at a pre-set position.Their material composition makes them ideal for temperatures from 0° to 80° C, and with dry air the range increases to -20° to 80° C.